The first month of 2019 was lucklustre for the ships’ demolition market, to say the least. As such, the latest news from the Southeast Asia region seems to be positive in terms of market sentiment. In its latest weekly report, shipbroker Clarkson Platou Hellas said that “the sign of the current market conditions appears clearer to see as cash buyers start to offload some of the units that they have held in their possession for some time which probably is a good indicator as to where their confidence lies. There are also more newly available units being talked around which will certainly not help price indications from the Buyers but, let’s try to place some positive semblance into the arena. This week has seen a slight improvement in buyer’s minds when discussing trading conditions and perhaps we may witness a slight relief from the negative sentiment experienced so far this year. 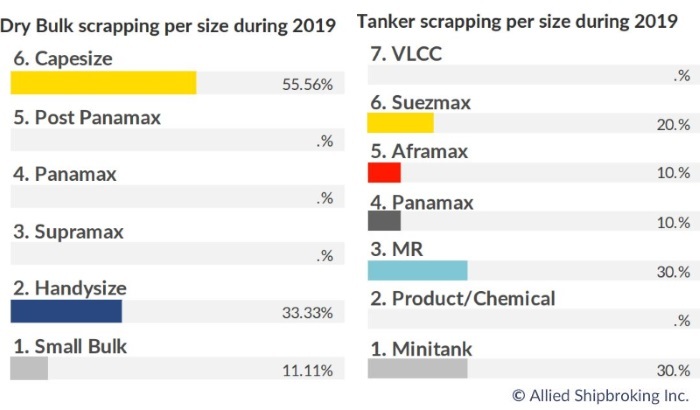 This may just, however, be a temporary recovery as we expect to see more supply of dry and container units circulated on the back of weakening rates. 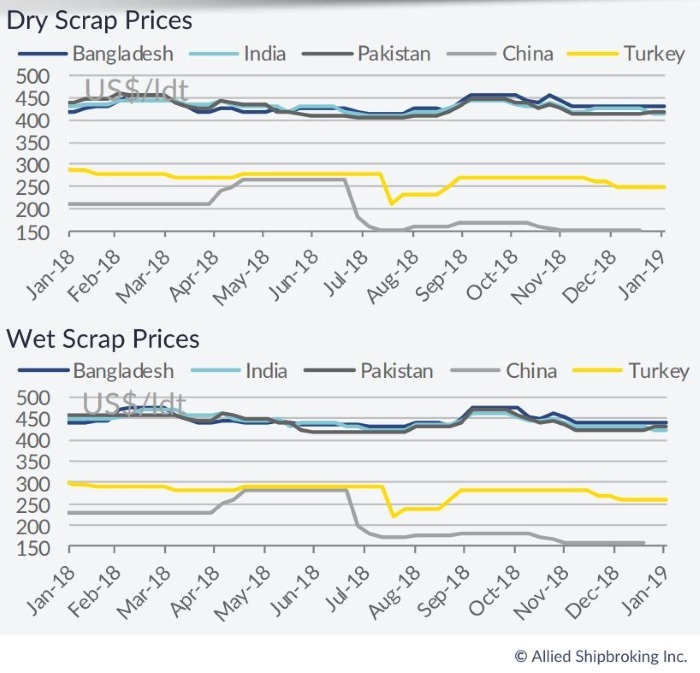 Whilst the tragedy surrounding the Vale dam collapse may push the value of iron ore and subsequent steel markets up sharply for the short term, the steel markets in the Indian sub. Continent look set to avoid any such dramatic changes”, said the shipbroker.